The gang from Universal Music has this afternoon sent out our very first glimpse inside the visual and the music of the forthcoming blockbuster movie ‘Tron : Legacy’. 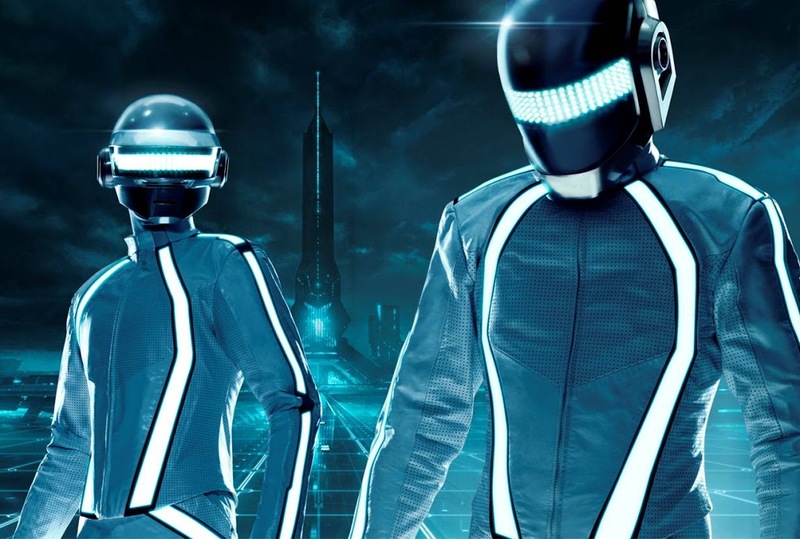 And though the chaps (pictured) may look like droid extras from a past Kylie video clip, it’s actually Daft Punk photoshopped in front of a still from the movie, which is set to hit cinemas in December. As you’re probably aware by now, the French duo has composed the soundtrack for the film and is scheduled to release it in Australia on Friday November 26. 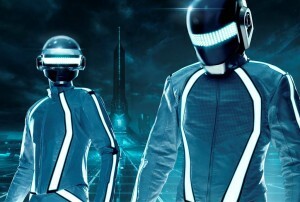 So Disney has given expectant film (and music) fans a first taste of a Daft Punk song called ‘The Game Has Changed’. As you’d expect, it’s electro – but very dark, grand and dramatic – and gives you every impression that the movie is going to be nothing short of explosive and epic when it opens at Australian cinemas on December 16.